This week and next we're celebrating our first wedding anniversary - so we're doing Tourists in London again (Honeymoon the Return?!). Today is a rest day because 1) it's my birthday 2) it's been hot which disagrees with my MS and my Husband and c) walking around lots disagrees with my MS. I have had a perfect birthday. 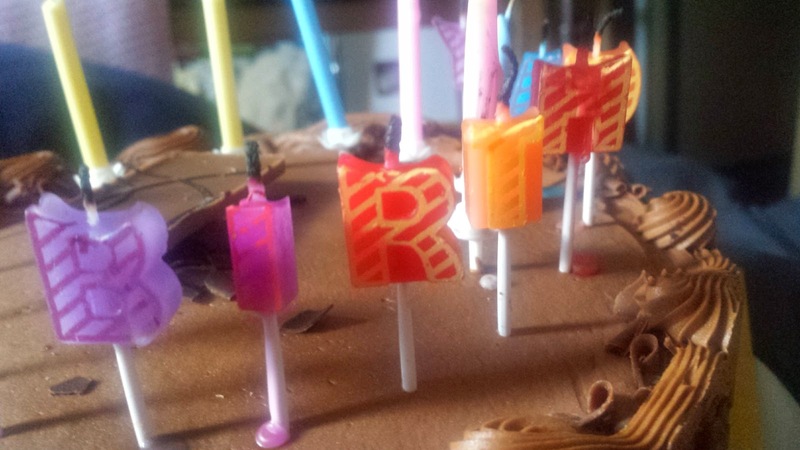 We started the day with Husband trying to set the house alight by lighting candles on my cake (20 again). This meant chocolate cake for breakfast! Then there were cards and presents. Husband spoils me rotten, book by my favourite author; new Lego Xbox games and the film we saw on our honeymoon last year (watching that later!). I have been most spoiled today, it must be said! I had lots of kind birthday wishes from my online friends and of course, even Google remembered my Birthday!